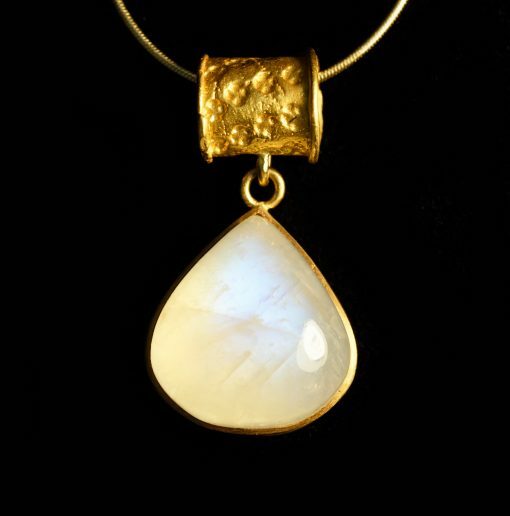 This large, cabochon moonstone is teardrop in shape which brings out the colours and lights in the stone in the most interesting way. The bail is a 22ct gold handmade bead that has been punched with a tiny motif which adds a little bit of interest to an otherwise plain and elegant pendant. Overall drop of the pendant is just over 2cm.